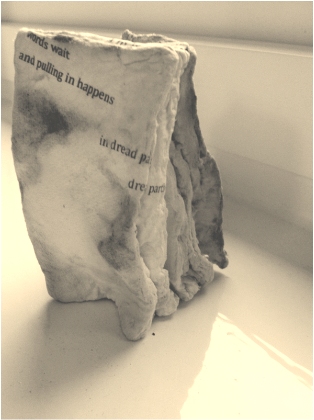 From the catalogue: "Handmade and pigmented cotton pulp suggests the book becoming its book beginnings, exploring the intersection of text as textile. The form appears organically, the words evolving alongside the formation of the pages. There is fluidity and movement in this process and neither word nor page are fully set yet"